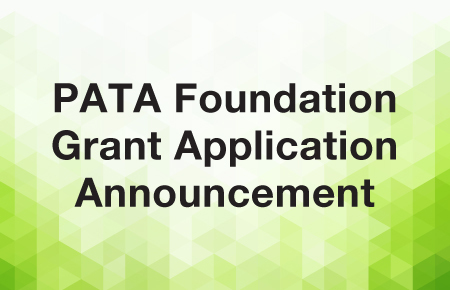 As a result of changes in the organisational strategy and operations of the PATA Foundation, we will no longer be accepting grant applications. We are proud of having supported over 130 small projects in 35 countries during our 30 year history. However, there is a desire among the Board of Trustees to expand the PATA Foundation’s impact and going forward we will be focusing on a limited number of signature projects that have the potential for replicability across Asia and the Pacific. This will allow the PATA Foundation to improve the quality and outcome of its work. We thank you for your continued interest and support in the PATA Foundation and encourage you to remain engaged by visit our website for updates on our future activities.